“Few nations have histories as ancient, complex and laced with tragedy as Armenia (ՀԱՅԱՍՏԱՆ). And even fewer have a culture that is as rich and resilient. This is a destination where you will be intrigued by history, awed by monuments, amazed by the landscape and charmed by down-to-earth locals… travelling here is as rewarding as it is revelatory”. Tsahkadzor, the valley of flowers. 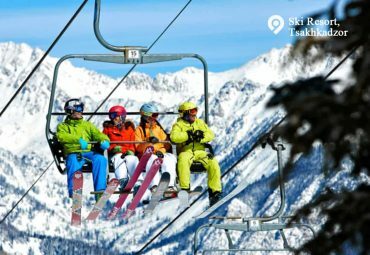 … take the rope way up to the mount and breath fresh air of Mount Teghenis. Explore Kecharis Monastery…. Airline ticket with MEA on N class (subject to Availability at the time of booking). Day 1: Guided Tsakhkadzor city tour visiting Kecharis Monastery; cable car (funicular). Ski Services Terms & Conditions apply. Fares are subject to change according to Availability at the Time of Booking. 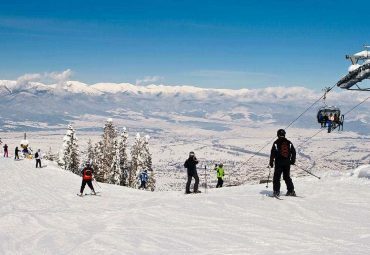 The ski resort Tsakhkadzor is located in the Kotayk Province (Armenia). In the Armenian language ‘tsaghik’ means flower and ‘dzor’ is a ravine, as you could guess ‘’Tsakhkadzor’’ means ‘’ravine full of flowers”. Stunning nature with nice smells of different flowers of bright colors. Entertainment: cafes, casinos, restaurants, pubs (Saya, etc), the famous Kalyan Lounge, Royale Entertainment Center, Parisian Casino, etc. Tsaghkadzor city, in the ‘Valley of flowers’. 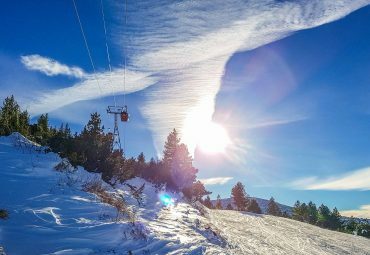 This is considered to be one of the most popular winter resorts of Armenia, situated on Teghenis Mountain. It is surrounded with virginal woods and alpine meadows. Pay a visit to the 11th century Kecharis monastery. The monastery includes four 4 churches and ruins of the mausoleum of Grigorius Pahlavuni. Admire the views over Sevan Lake, one of Europe’s highest altitude fresh-water lakes, ringed by dramatic mountains. Continue to Dilijan town on the banks of the Aghstev River, where you’ll enjoy a delicious Armenian-style lunch (own expense) at a local restaurant. Nearby, take a tour of the Goshavank monastery, founded by the famous medieval scientist Mkhitar Gosh. Head to the Ijevan wine factory and taste ..End your tour at the magnificent Haghartsin monastery, situated in the woodlands of Tavush region.